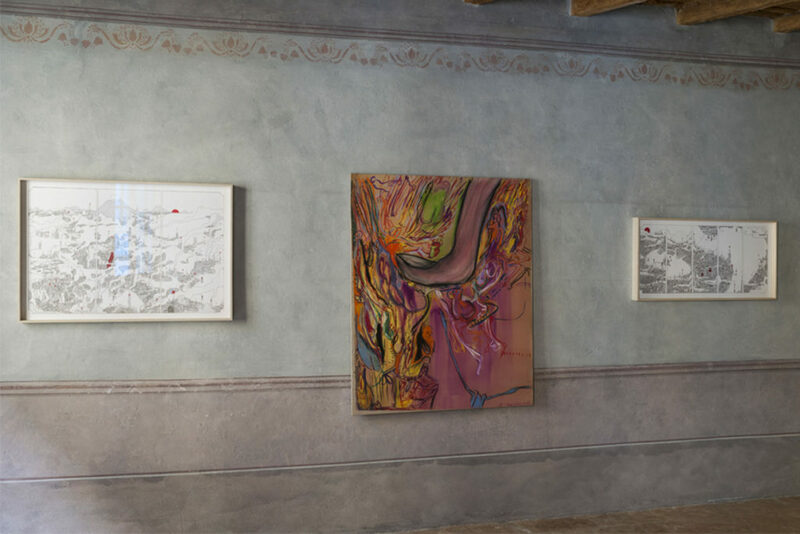 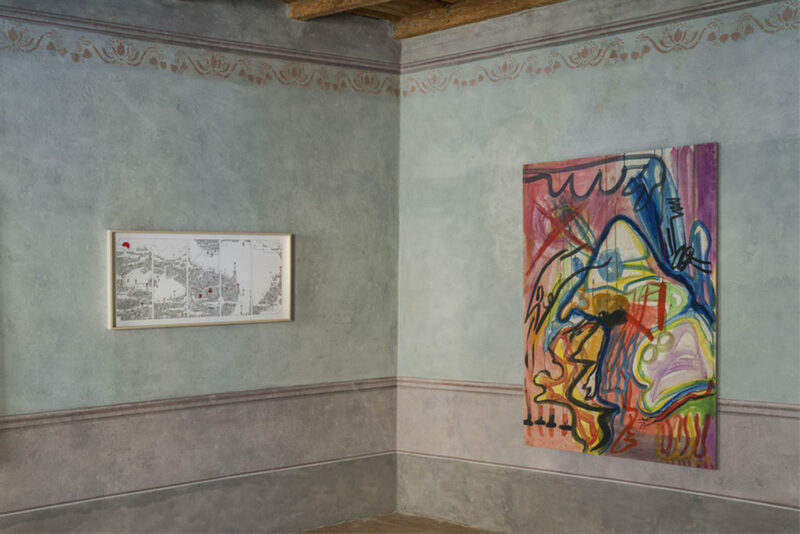 Case Chiuse is an indipendent art project whose main goal is bringing contemporary artists and their works inside private homes, secret spaces, that have never been seen before. 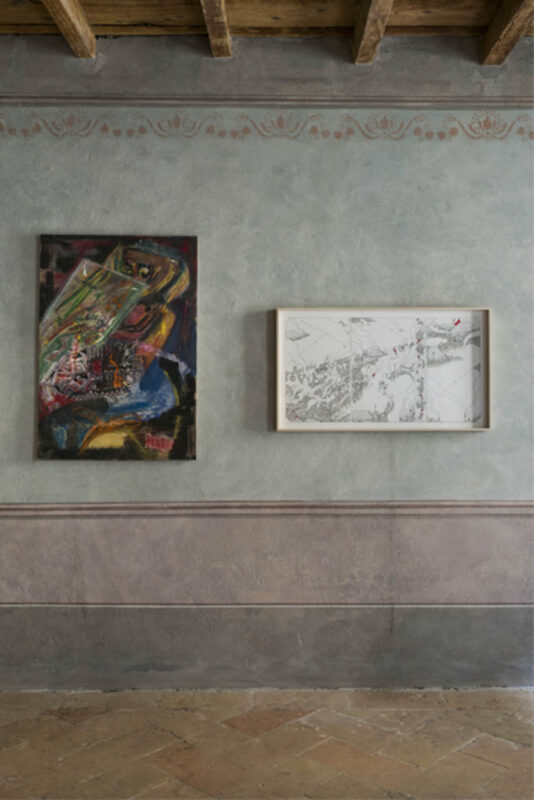 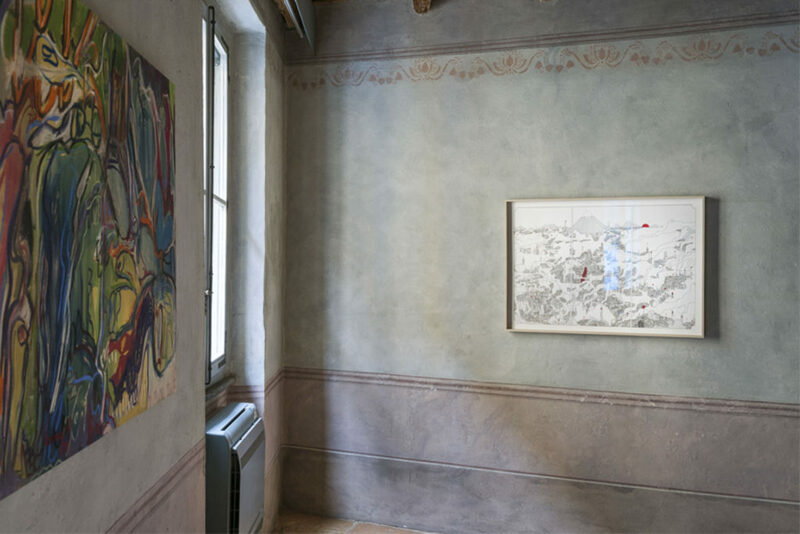 For the second edition of Case Chiuse, the works of Aldo Mondino and Tarek Abbar, though very different in formal terms, meet and interpenetrate at the exhibition with a display by Luca Cipelletti in his first apartment. 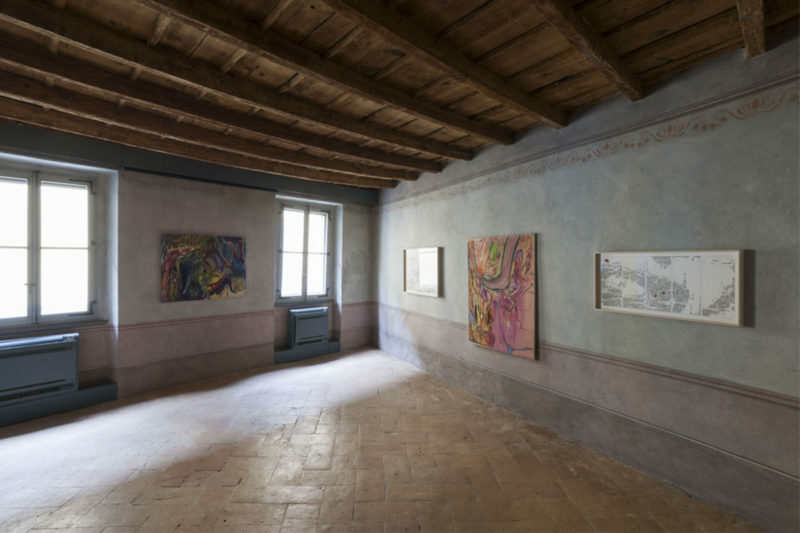 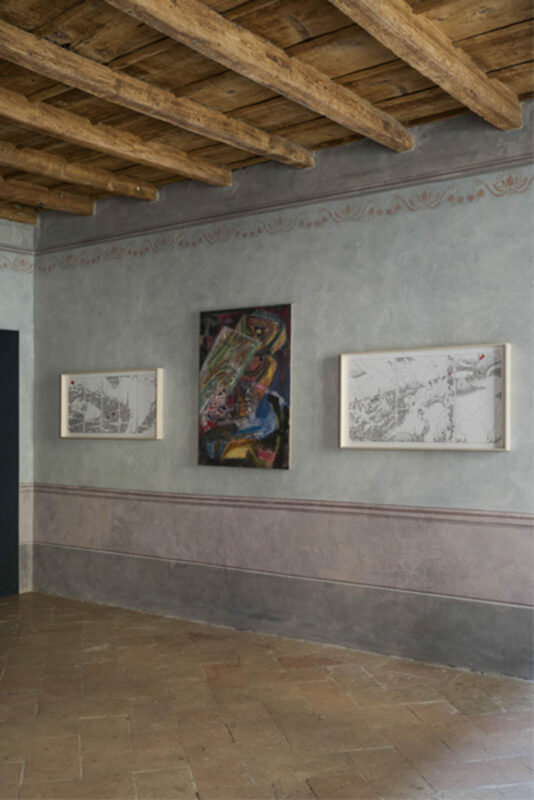 The memory of the space, renovated by AR.CH.IT, was a determining factor for the renovation project of a small apartment inside an old “casa chiusa” in Brera. 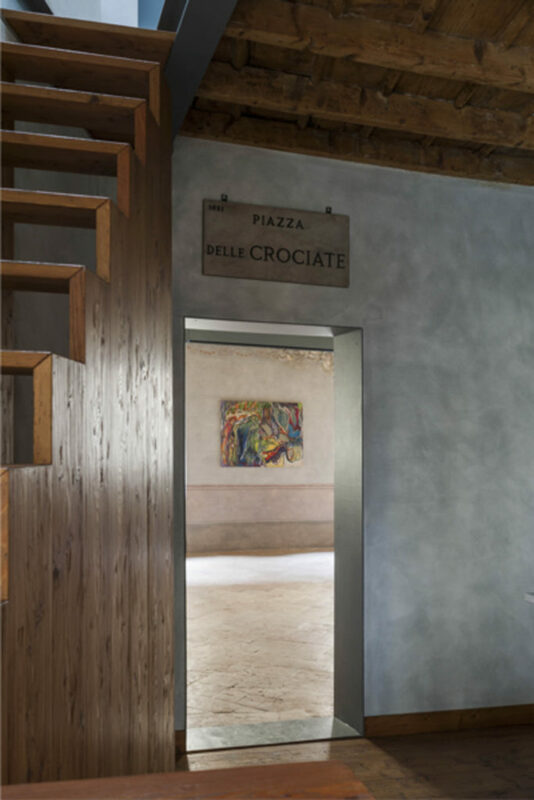 The original walls and the stucco work were restored; the terracotta rosata floor tiles are typical of the Lombardy area; the wooden beams on the ceilings are original and well preserved, as are the window and door frames. 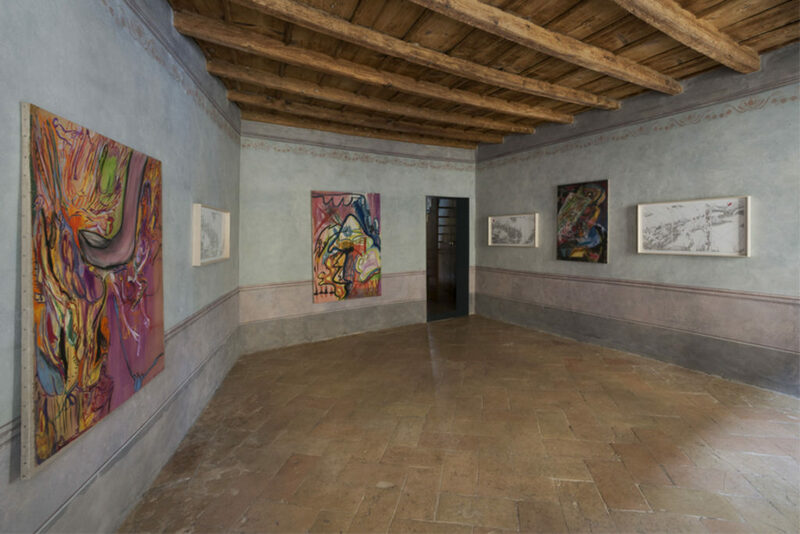 The interior staircase provides decisive architectural impact: two triangular volumes which intertwine and lead up to the bedroom situated in the attic.